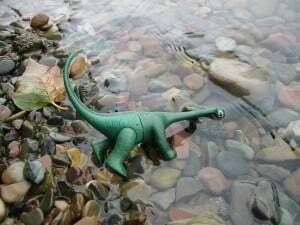 Frugalsaurus before he was Frugalsaurus, somewhere in Montana. Shortly after that day, a goofy tradition was born. The dinosaur would travel with us and get his picture taken. Our little green plastic toy has probably traveled more than most people. Recently, the dinosaur has taken on a new role. 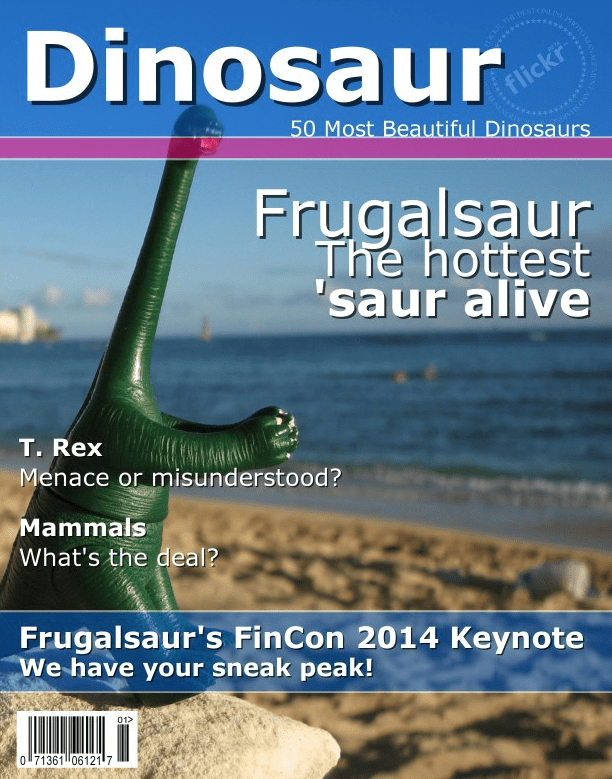 Of course, I’m referring to his ongoing role as Frugalsaurus on this blog. Frugalsaurus makes frequent appearances, most recently in this rant. Anyway, I thought you’d like to learn a little more about Frugalsaurus, so he agreed to be interviewed by Frugal Hound (you read that correctly, a greyhound is interviewing a plastic dinosaur). Today, please flip over to Frugalwoods to read the interview. *This past weekend, we pulled a baseball out of another box that is worth as much as $6000. That is a story for another time. Frugal Hound says she greatly enjoyed sniffing Frugalsaurus, even if he did smell a bit plastic-y. Thanks again, Frugalsaurus and family! Yes! Also, Abraham Lincoln and Leonardo Da Vinci!